UK firm Cornish Sea Salt is to launch a "flaked" sea salt line, currently on sale internationally, in its domestic market. Speaking to just-food at the Gulfood 2014 exhibition in Dubai, sales manager Suzanne Skerry said the new variant will go on sale in Tesco. Skerry said the flaked variant gives the same "salty flavour but without the crunch" and is ideal for sprinkling. The firm has a presence in 18 countries including Scandanavia, Canada, Japan and the Philippines. 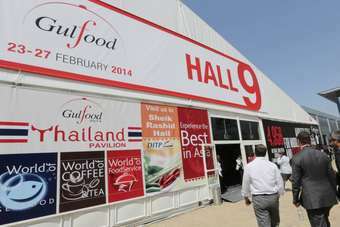 Skerry said the company had attended Gulfood in a bid to expand its fledgling presence in the Middle East. "The Middle East is a big market and an established one for sea salt - our competitors are here so we know sea salt sells here," said Skerry. "The Middle East is an important market - particularly from a dietary perspective - because warmer climates mean people need more salts. From a company perspective, we're here because we've had all this interest. And to be honest the market is not saturated yet with sea salt suppliers. "We've already got a distributor here, both for retail and foodservice. We've already had our first order with our distributors, they're now developing the brand - ideally in the next four to six months we should see some return." Skerry indicated competitors from both French and Italian markets had established a presence in the market but added Cornish Sea Salt had something different to offer. "Every sea salt is different, that's because of the water from which the salt is harvested. The British brands now are really successful - Britain sells; right now is a great time for British gourmet food brands and because of the water where it is from, we produce a very unique sea salt flavour and texture. "French sea salts are quite grey and not bright white in colour. They're also at a much higher price point. Mediterranean sea salts are quite hard in texture, they're not as soft as ours - quite a lot of people like to sprinkle sea salt so find that our is nice an simple and fluffy - so we have a unique product thanks to the water in Cornwall."